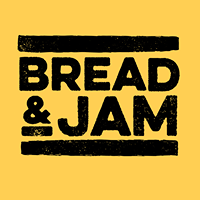 Bread & Jam has so far helped hundreds of entrepreneurs break into the food and drink business. With this know-how we have pulled together all of the essential information that you need to get your business started into a comprehensive one-day bootcamp. So whether you’ve spotted a gap in the market, or you’ve just developed an amazing food product, or you’ve already been selling your product at local markets, this bootcamp will give you the tools you need to get to the next step. We have pulled together a team of carefully selected industry experts, who have worked for many household names (including Innocent, Sainsburys, Pip & Nut, Vita Coco and others), to run this highly practical course. You will come away with the skills and knowledge to develop your idea or product. You will have an action plan of the next steps. You will have a clear understanding of how to avoid wasting valuable time and money. And you will be part of a new community of entrepreneurs who can support you and share your journey. How to develop yourself as an entrepreneur. Market research: how to prove there is a market for your product. How to nail your product’s Unique Selling Point and stand out from the crowd. Manufacturing: from processing to packaging – how do you outsource? Getting ready for market: a step-by-step guide. Shops: how do you get the first listing? Supermarkets, delicatessens or online: which way to go? Panel Discussion: 3 experienced food entrepreneurs share their stories on how they nailed it. Communication: how to tell your brand story. Marketing: how to build a loyal tribe of consumers. Finance: How much do you need and how do you fund your ambitious plan? Costs: what to expect, and how to budget for the unexpected.